Are you traveling to Kashmir? If Yes then you should just book a hotel for you before visiting. But this can be a tuff task without having appropriate knowledge about the hotels their locations and contact details. Set back and relax this guide will help you find all the hotels (Guest Houses) in Azad Kashmir their contact, rent, and service quality details. 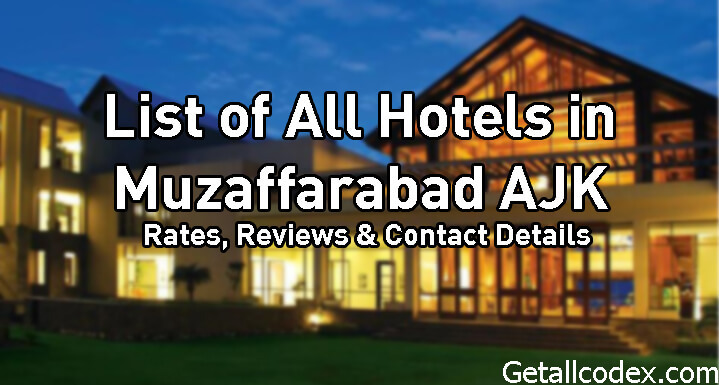 Doesn't matter where you are in Kashmir you can find the appropriate hotel which best suits you. This guide has been divided into two categories i.e. A category and B category. The hotel which comes under A category has more than 5000/- PKR one day expense, whereas the hotels which come under B category has less than 5000/- PKR one day expense.